Eye bags and dark circles around the eyes can be treated with a variety of appropriate treatments. You can treat yourself at home with natural ingredients, or through medical procedures such as lasers, skin fillers, and your eyelid surgery. Eye bags are also known as panda eye, usually appearing as you get older. When the tissues and muscles that support the eyelid weaken. Generally only a matter of beauty and appearance, usually rarely caused by a serious medical illness. Appearances will be more disturbing if the eye bag with a circle under the eyes, mild swelling, to sagging skin and wrinkles. Aging, fatigue, lack of sleep, are the main causes of eye bags and dark circles around the eyes. Increased melanin or postinflammatory post-inflammatory hyperpigmentation. Decreased under eye fat due to skin problems. Too much caffeine and tobacco consumption cause sleep deprivation. Fluid retention due to hormone levels, weather changes, and foods that contain lots of salt. Allergy or dermatitis accompanied by swelling, redness, and itching. Compress the eyes. 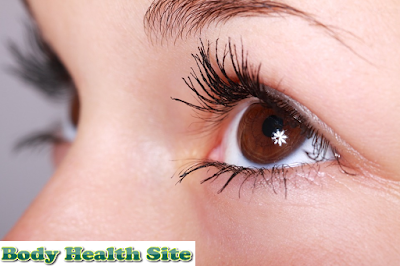 Compress your eyes using a clean cloth moistened with cold water. Stick for a few minutes with a little pressure on the eyes. You can use a green tea bag or a piece of cucumber to compress. Or you can use eye gel masks that are sold on the market. Fix your sleeping hours with sufficient time of 7 to 8 hours a day. Sleeping position with the slightly raised head will help overcome the problem of your eye bags. Sleep with a few pillows to support your head. This method of removing eye bags can prevent fluid from accumulating around the eyes during sleep. Avoid alcoholic beverages and caffeine, because it can cause mild dehydration, interrupt sleep hours, and make eye bags and dark circles look more clear. Drinking enough water can prevent you from dehydration and help prevent your eye bags. To avoid fluid retention, you can reduce your intake of fast or salty foods that contain lots of salt. Make sure you drink plenty of water, at least 8 glasses a day, to keep your skin healthy and moist. Potassium intake can help reduce excess fluid in your body which can trigger the appearance of these eye bags. The sources of foods containing potassium include bananas, nuts, yogurt, and green vegetables. Use eye creams that contain cucumber, chamomile, or arnica which can help reduce inflammation and can tighten the skin. Allergy medications. If the conditions in your eyes are caused by allergies, then how to remove eye bags and dark circles is to avoid allergens and take allergy medication available in pharmacies or over using a doctor's prescription. Dermal filler. Skin filler treatments at the dermatologist can be a solution to your eye bag problems caused by damaged blood vessels, and loss of fat tissue in your eyes. Laser treatment and vitamin K. Using laser treatments can reduce the appearance of dark circles due to broken blood vessels around the eyes. Skin care products with vitamin K content can also help remove eye bags and dark circles around the eyes. Whitening cream. This treatment is the best solution if eye bags and dark circles around the eyes are caused by too much melanin or hyperpigmentation. The dermatologist will prescribe a cream containing bright substances such as retinol, hydroquinone, kojic acid, green tea, or vitamin C.
SPF 30 sunblock. Avoid sun exposure and use sunscreen daily with SPF 30. Concealer with colors brighter than your skin color can help disguise dark circles around the eyes. Use concealer with SPF 15 or higher. If your skin is oily or acne type, then use an oil-free concealer. If your eye bags and dark circles don't disappear or get worse, and if your lifestyle changes or other treatments don't work, you might consider doing eyelid surgery or blepharoplasty surgery. The doctor will remove excess fat, muscle, and skin on the eyelids. Blepharoplasty in addition to removing eye bags, can also repair your swollen eyelids, and reduce excess skin on the upper and lower eyelids that interfere with vision. You need to consult a doctor first before deciding to do this surgery, because of risks such as infection, dry eyes, visual problems to change the position of the eyelids can occur. Eye bags and dark circles are usually not a sign of a serious medical condition. You should contact your doctor if you have a severe eye and swollen eye irritation, or other symptoms that affect other parts of your body. Because these symptoms can be a sign of a more serious health condition such as blepharitis, conjunctivitis, ptosis or drooping eyelids, cellulitis, skin infections, to thyroid disease. 0 Response to "How to Eliminate Eye Pouch and Black Circle"